Graphic designer for the Australian Museum by day, and illustrator for Lucy Made It by night, Lucy certainly is a creative powerhouse! 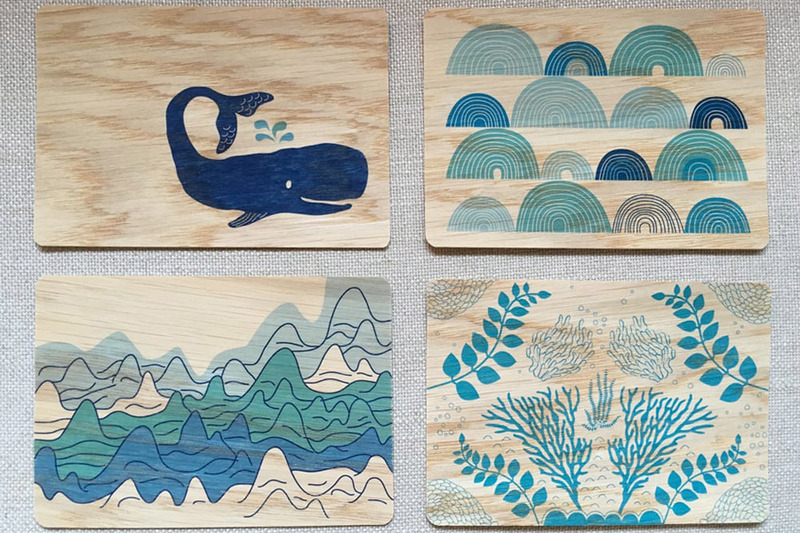 Perhaps the two compliment each other perfectly, as her dreamy oceanic illustrations are reminiscent of the beautiful crystal collection at the museum, see Lucy’s instagram for a preview! 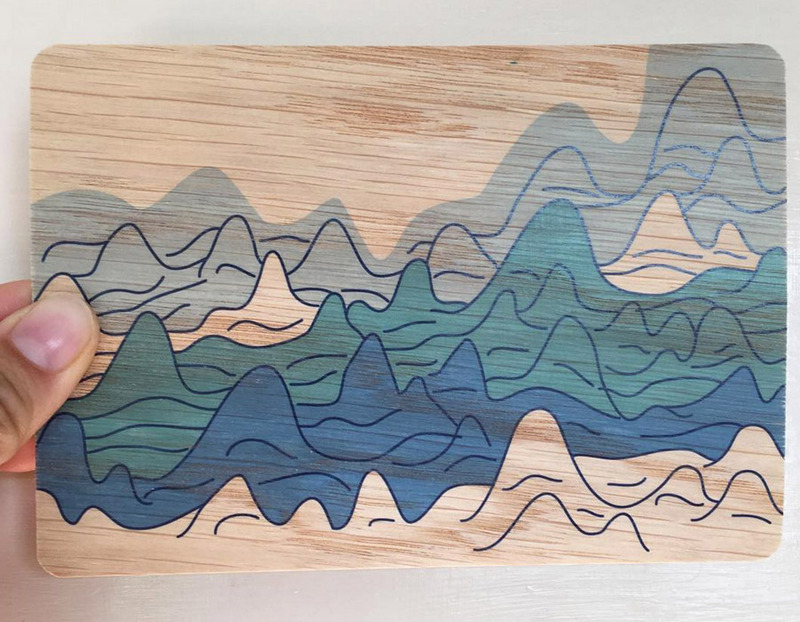 Lucy applies her illustrations to a series of different products. 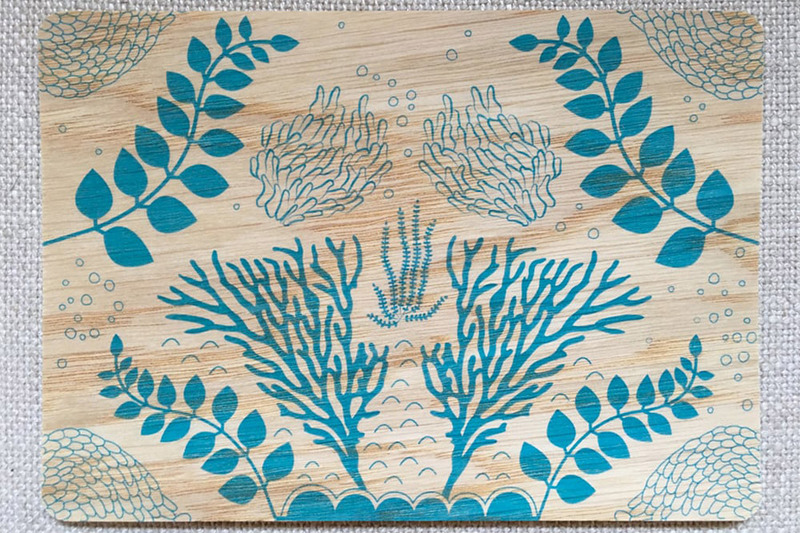 We are particularly fond of these oak greeting cards, which are completely designed and made in Australia! 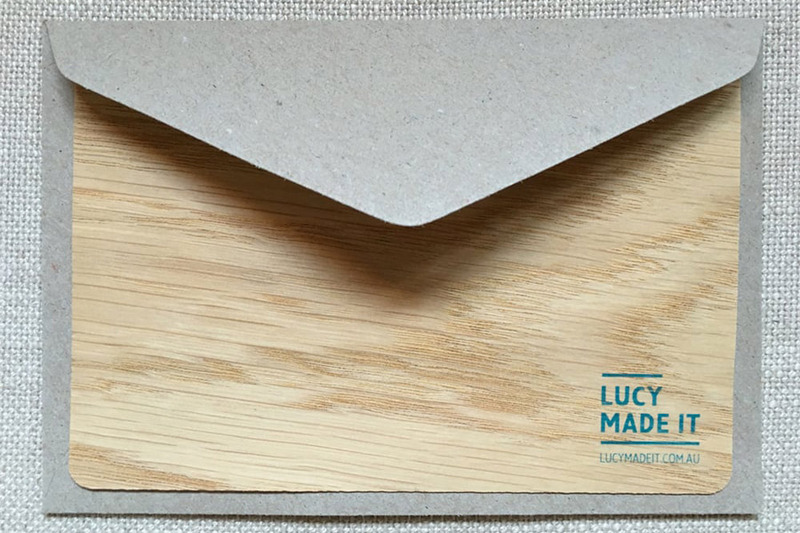 Also interesting to note, the cards are sliced from pure natural oak, making them completely biodegradable. This process also uses around 50% less wood compared to paper equivalent products. Pretty neat hey! Fancy AND sustainable. What more could you ask for?! 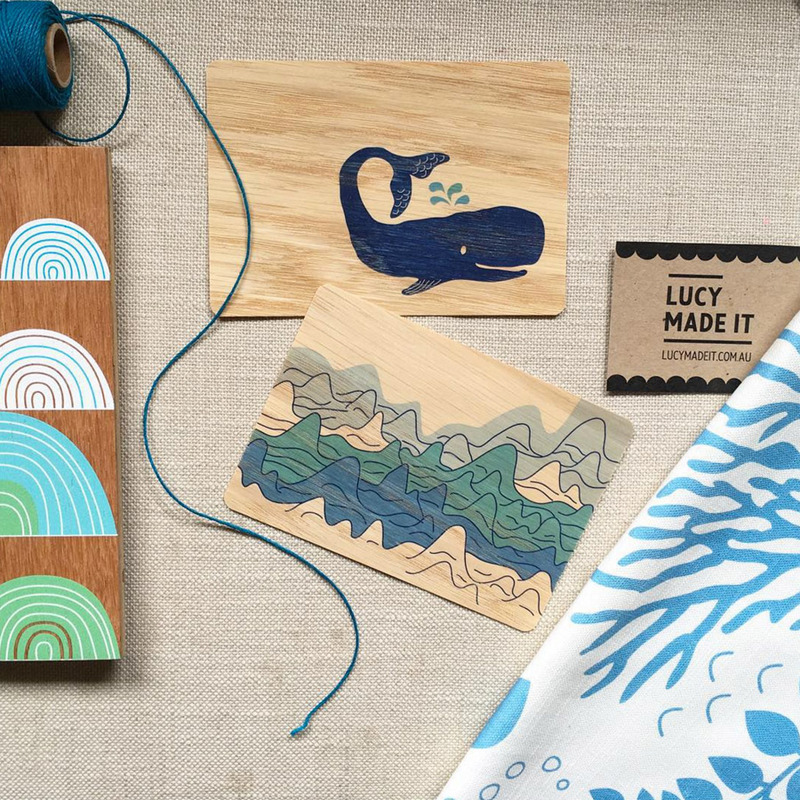 Check out the full collection of Lucy Made It products in Lucy’s online store, and be sure to pop by her debut stall at our Sydney market (psst… it’s only a few weeks away!! ).